If you like berry-flavored cocktails then this classic is a great choice. The kir is a perfect wine cocktail to serve at an open house, business reception, or casual cocktail party because it is very simple and, depending on the wine, can be very inexpensive. The kir is one of the few cocktails that use the blackcurrant liqueur called creme de cassis, which acts as a dark sweetener for your favorite wine. The choice of white wine is something of personal taste; dry wines are preferred, Chablis is a great option. This is also a great use for wines that are, shall we say, not perfect on their own and could use a little help to make a decent drink. There are also many variations of the kir, the most notable being the kir royale that uses Champagne or another sparkling wine. There are others that use cider or different liqueurs. Each is unique but carries on the kir tradition. Pour the creme de cassis into a wine glass. Slowly add the dry white wine. You can adjust the amount of liqueur to match your sweet tooth. More liqueur will make a sweeter drink. Pouring the liqueur into the glass first allows it to mix naturally with the wine. If you put the wine in first and then added the liqueur, you would need to stir the drink to mix them together. The kir became popular in French cafes in the middle of the 19th century and was further popularized by Felix Kir after World War II. The then mayor of Dijon in Burgundy, France, served the drink often to promote his region's fine products (wine and creme de cassis). The name kir has been associated with the drink ever since and has become generic enough that Webster's dictionary lists it in lower case. This sweet cocktail pairs well with salty snack or appetizers. It is also lower in alcohol than many cocktails, so it is good to enjoy before dinner without dulling your taste buds. You might serve it with spicy nuts, miniature cheese puffs (gougeres), cheese straws, stuffed mushroom caps, blistered Padron peppers, or miniature pakora. While French in inspiration, the kir pairs well with many different cuisines. Think of it whenever you want a light, sweet cocktail that is quick to make with no fuss. Kir Royale: Substitute Champagne for the white wine, serve in a Champagne flute. Cardinal: Substitute red wine for the white wine. Kir Breton: Substitute Breton cider for the wine. 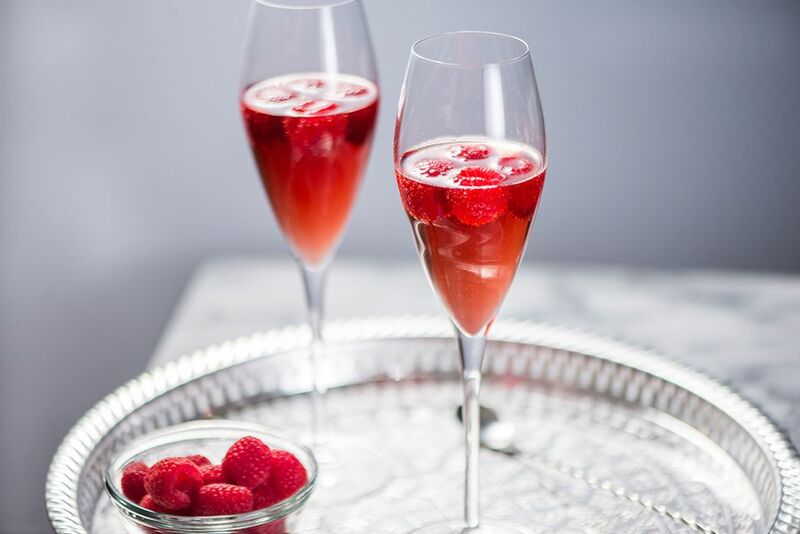 Kir Imperial: Substitute Chambord or another raspberry liqueur for the creme de cassis and Champagne for the wine. Kir Normand: Substitute Normandy cider for the wine. Mocktails: You can use pomegranate molasses instead of cassis and cider, sparkling cider, or sparkling water for a sweet and tasty concoction to enjoy without alcohol. You might experiment with other fruit syrups. White Port and Tonic - Easy and Refreshing!